I would like to share my own experience in studying the long-term healing results of using ENART devices (Enart 907 in particular) in order to assess the regenerative reactions that appear in the body in response to the influence of pulses generated by the device. In my opinion, this study will help both the ENART beginners and those ENART users who have already had some experience in ENART therapy. To begin with, I would like to remind you of some distinctive features of ENART therapy and its basic differences from other therapies. ENART is a modern reflex therapy. It has no drawbacks and is easy, simple and convenient to use. ENART is applied to some specific skin points on the body and works with short-pulsed high-amplitude electric signals that dynamically change their form according to the body’s response to device stimulation. This establishes a biological feedback: device – body – device. Pulses generated by the device will elicit various bodily responses that help to restore the impaired or lost functions of the body. It is important to note that there is no adaptation of the body to ENART treatment. The lower the adaptation of the body to the treatment, the more effective and shorter in time the treatment will be. The bodily responses formed as a result of ENART treatment will initiate regulatory recovering processes that are stretched in time. In some cases it is suffice to have 1 or 2 sessions to get full recovery but such cases usually involve acute conditions (existing over a short period of time). A long-existing (chronic) problem will require (in most cases) treatments of 10 to 12 sessions per course or even several such courses. After ENART treatment all the metabolic processes in the body would be restored. The organs will resume their normal bodily functions, this means that the cause rather than symptom, of the disease has disappeared. So, when we use ENART therapy, we not only remove pain syndrome (any 900 series device will cope with this task ideally), but from the very start we are working for complete recovery as much as possible in each particular situation. And the main thing here is to remember that the body’s self-recovery and alteration will take time from several days to several months. When treating a long-existing pathology, improvement usually comes in the course of treatment, but maximum healing effect should be expected in a month after the treatment is terminated and the health-improving activity in the body will continue for a longer period of time (up to 3 months). If you know terms of healing and therapeutic features of ENART treatment, you should always explain to the patient in detail what he or she can anticipate from the treatment and at its duration. This is because most people prefer pharmaceuticals which they use to remove only symptoms of the disease. For instance, a patient takes a pill and after 15 minutes his or her arterial pressure has returned to norm, pain is relieved, etc. Such therapies suppress protective and adaptation reactions of the body and destroy its self-regulation mechanism, which then evokes transition of the illness into its chronic condition. After the first uses of my ENART device I was not always fully satisfied with the healing results at the end of each course of treatment. I must say that I had mainly dealt with the advanced cases when a patient had already undergone various therapies of which had not always been recognized as safe. I observed the improvement, but some symptoms had remained which bothered me. I was determined to find the reason and analyzed the results and made some changes in the healing process. There were also patients whose problems could not be solved completely during one course of treatment. One day during my training exercises I hurt my wrist and got the second wrist joint and ligamentous injury, which usually takes much time to heal. From my own experience I know that the healing process may last from several months to a year or more and can be exacerbated at the most inconvenient moment. So, I took my device and got down to treatment. Pain considerably reduced but appeared again on the wrist activity. I held 5 sessions of ENART therapy while proceeding with the training exercises in my customary manner. After three weeks I found that the pain syndrome disappeared and did not appear even on the wrist activity. The next case that attracted my attention took place with my wife (I think those who attempted to heal their relatives will understand me). For several years she experienced pains in the thoracic and lumbosacral parts of the spinal column, but as it usually happens, “she has never had time for healing”. She took 8 sessions, with some sessions held not to the full extent (difficulties with treating relatives).To my questions about therapeutic effects she answered that nothing helped her. After about a month I noticed that she no longer had any complaints about her pain. The palpatory inspection had shown her spine was almost painless! To my question about her health she answered that the pain gradually disappeared and she simply forgot to tell me about it. Then I began, wherever possible, to investigate the long-term healing results I got from my all “complicated” patients. It turned out that within a month after completion of the course of treatment, most patients had recovered either completely or their health had considerably improved. I used ENART therapy on one of my patients for Traumatic Epicondylitis on his right arm (tennis elbow). The condition occurred after injury he had about a year ago. Before visiting me he saw various medical specialists and took mainly non-steroidal hormones and physiotherapy – with minimum results whatsoever. It should be noted that the patient could not restrict physical activity of his injured arm due to the nature of his profession. Nonetheless, after 5 ENART sessions the patient experienced considerable improvement: the elbow joint range of motions had increased and the pain syndrome that disturbed him for a year had actually disappeared. There were some uncomfortable sensations on wrist squeeze and occasional pains on activity that still remained. When I met him after two months, he was happy to report that those residual effects had gradually disappeared and now his right arm works to the fullest extent. There were many other positive long-term healing results. For example, after ENART treatment a long-expected child was born unto someone, someone got rid of skin problems, etc. But the main thing for me is that I have understood the basic features of ENART therapy and can now safely explain to the patients how their healing will progress. In addition, I would like to note some factors that influence the healing effectiveness. First of all, these are smoking, alcohol consumption and frequent use of chemical drugs, especially antibiotics and non-steroidal hormones which interrupt recovery processes not allowing them to come to the logical and favorable completion. Before ENART sessions I always warn my patients against the above mentioned factors because with them the healing process goes slower, its effectiveness drops by 40 per cent, more sessions are needed for the course of treatment. My warnings often make the patients get rid of their bad habits. In the past I have used various devices that have worked with biofeedback, but after I acquired Enart 907, healing effects came much faster with it. When getting down to every session, I always feel confident in success and believe in the ability of the device to cope with any problem. Of course, Enart 907 is not a panacea, but until now I have had no single case of which the device could not help patients. This device makes it really possible to feel full freedom of creativity in approaches to treatment and considerably expands the boundaries of therapeutic effects. I wish you all to have good health and be successful in all your deeds! ENART 907 is a multiple-purpose device, which offers the best of both SCENAR and PROLOGUE devices with upgradeable levels that can be unlocked (for a price) at a later date making it ideal for individual/family, semi-professional and professional use. The L0 option is for home use, has 4 modes without the means for adjustment of the output pulse parameters, making it simple to use. The L1 option is a semiprofessional model, it has 8 modes with the means for adjustment of the output pulse parameters including the parameter of the First-Phase Pulse Amplitude. The L2 option is a professional model, it has 16 modes with the possibility of adjustment of parameters of the output pulse. In the existing devices with the biofeedback the first-phase rectangular pulse amplitude remains unchanged, while the second-phase oscillating pulse amplitude varies in accordance with the body’s response to the influence of the device. Many practitioners who use several different models of ENART, SCENAR and Prologue devices have noticed that each particular model is most effective for different specific conditions. For instance, some devices are more efficient in treating musculoskeletal disorders while others are best used for internal organs; still others are more effective for treating diseases of the nervous system, etc. The latest studies have shown that these specific healing effects are more dependent on the level of the first-phase pulse amplitude. Each particular device model features its own specific level of the first-phase pulse amplitude, which ranges in value from 10V for some early models to 70V in some of the latest models. Until now this level has always been a strictly specific factory setting that could not be adjusted by the practitioner. Now, for the first time, with the ENART 907 device (levels L1 and L2), the practitioner can adjust the first-phase pulse amplitude within the range of 25V to 80V. By allowing the practitioner to adjust the first-phase pulse amplitude the ENART 907 can more effectively treat the whole range of diseases/injuries with only one device. The customer/practitioner will now only have to buy one device to treat the whole range of diseases rather than having to buy different devices in order to treat different specific diseases. The new mode AMVar with the device ENART 907-L2 allows any user not only to appoint amplitude of the first phase of impulse, but also to set deviation of amplitude of the first phase of impulse in a necessary range, that is not present in any of similar devices. • ENART 907 (L1 and L2) has the potential to decrease the power consumption and to increase the service life period of power batteries (ECONOM). 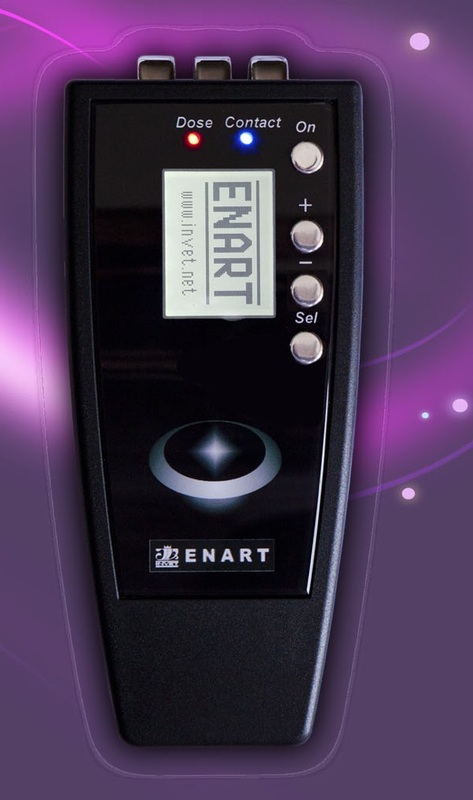 • ENART 907 (L1 and L2) has the capability to adjust Sensitivity of the device (SENS). Function SENS (sensitivity) ensures the possibility to use the device on people with any type of skin, as well as on any parts of the body, whereas before at times it was impossible. For instance, sometimes it is difficult for the device to track contact (on very dry or coarse skin), which makes work on such parts IMPOSSIBLE. In some cases in order to establish contact the user has to press the device very hard against the skin. Or sometimes when applying the device onto a specific skin or very moist skin, the device tracks the contact with the skin even without touching it (in some distance away from it). Now this problem is solved by means of adjustment of the parameter “SENSITIVITY”, which makes action of the device adequate in each particular case, substantially broadens capabilities of the practitioner as well as facilitates the practitioner’s labor. 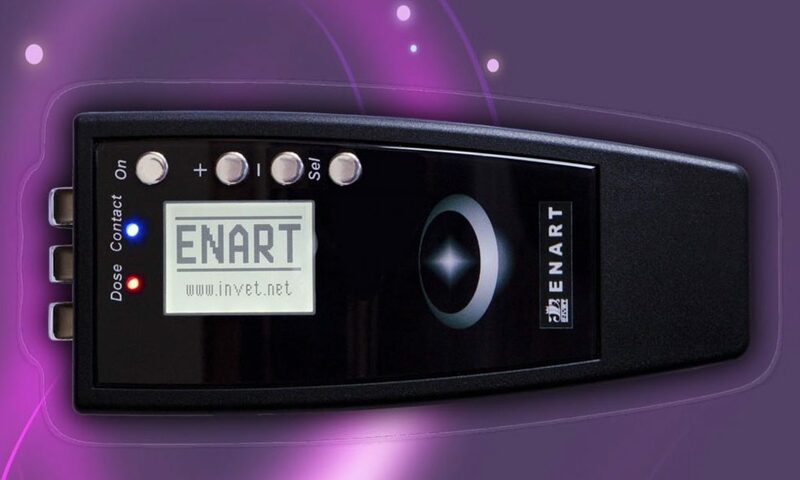 The ENART 907 represents the world’s most advanced electrical stim biofeedback device, and way beyond the original SCENAR or later COSMODIC type devices. The ENART 907 is furnished with basic features of a professional device; easily adaptable to personal/family use. I bought the 907M with the three rail design at the same time as the 911M. Like the new 907 it is a simpler automatic version of the 911 without the diagnostics screen or the infra low frequencies. In 2008 and just before the original 911M launch (the predecessor of the 911) I had a dream about a new ENART SCENAR which manifested a few months later as the 911M. In the dream it had different ranges of frequency sweeps and superior what I call transverse “skinning”, but in actuality it was just one of many new features one which emulate previous popular ENART and SCENAR models. I use a lot of different SCENARs in my practice and I love the 3 rail electrode option of the 907 and it surpasses the performance of the COMODIC SCENARs and RITM. Soon I will update the video with the 911 and 907 unboxing. So the 907 is an amazing unit especially for both professionals and non professionals, and the various modes I talk about in the 911M video are good for any emergency imaginable, awesome power (if and when you need it), and so many programmable functions that you might get easily lost, but not with my videos and coaching! For the techies out there reading this the “engine” or chip in the 911 can emulates several SCENAR models by adjusting the first phase voltage, or how the loud the signal talks with various tissues. As an ex development for GE I really appreciate what it takes to conceive, develop and manufacture a new product. In some case years of work, and in rare cases like this it is the culmination of decades of experience to quickly restore the body with the most sophisticated bio electrical engineering on the planet. Once again the development specialists at CCC Invet combined this technical know how with user feedback from across the planet further improving on the COSMODIC. The ENART 911M engine and now updated in the the ENART 911 make it even easier to use and to further improve upon the electrical interface with living organisms. -the sufficient time of the treatment is determined by User themselves. -the device signals the end of the optimal time of treatment in the treated area (in about 30 minutes). This mode is used for treating a wide range of conditions, both chronic and acute. • The value of Frequency automatically changes according to the body response to treatment at the moment of each particular skin contact. • The Device produces three short tones at the sites where additional specific treatment is needed. 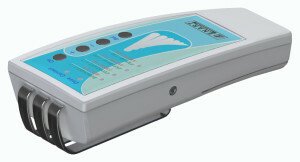 •Determines maximal sufficient time of treatment at each particular position of the Device electrode on the skin. This mode is used to reinforce therapeutic effect, eliciting resonance in malfunctioned organs. I.e., with help of infra low frequencies it “shows” the organ its normal working frequency, “adjusts” it. A positive effect is achieved by using several frequencies in one treatment program. This allows to regulate purposefully the activity of the specific CNS (central nervous system) structures and, as a result, to elicit more rapid and stable healing effect. 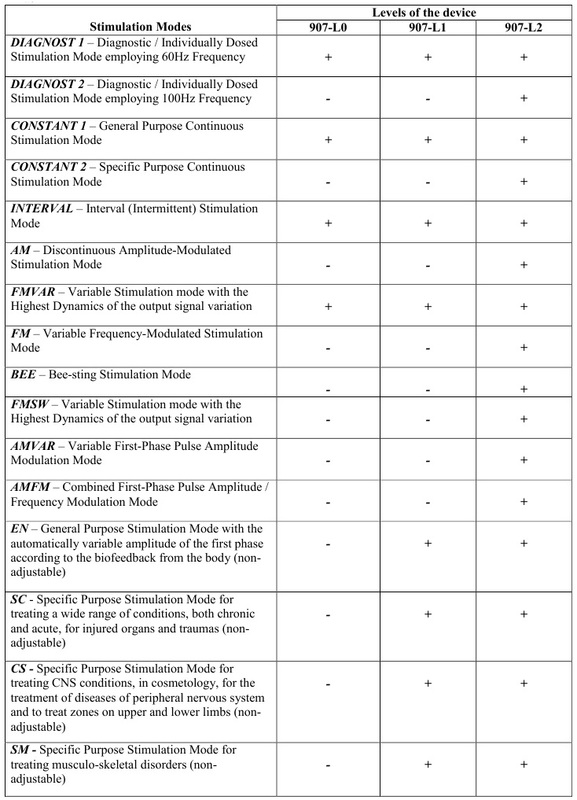 User may apply infralow frequencies (like the DiaDENS PCM – see my video https://www.youtube.com/watch?v=2xHuJ…) according to the table attached to User Manual (where the resonance frequencies for different organs and systems are mentioned about. In addition to the 17 treatment modes user has the opportunity to create their own of treatment programs and save them in the memory of the device – up to 20 programs, and in previous versions there were 10 of them. In devices 907 and 911 we’ve worked out a new advancement — SENSITIVITY function (SENS), which allows the user to adjust sensitivity of the device in accordance with such factors as condition of the skin surface (individual peculiarities, moistness, sensitiveness), psycho-emotional condition of the patient, environmental conditions, etc. Now you won’t have problems with tracking the contact as it is possible to adjust sensitivity of the device in accordance with each particular case. The ENART 911 represents the world’s most advanced electrical stim microcurrent biofeedback device, and many years beyond the original SCENAR or later COSMODIC type devices. NOW the new ENART 911 AND my coaching puts the power in your hands, and off the medical treadmill. Exclusively when you purchase from me. In 2008 and just before the original 911M launch (the predecessor of the 911) I had a dream about a new ENART which manifested a few months later as the 911M. In the dream it had different ranges of frequency sweeps and superior what I call transverse “skinning”, but in actuality it was just one of many new features. The ENART 911, is the flagship device from ENART developed by specialists at CCC Invet independently without Doctor Karasev. While undeniably the sleek lines of the old “ex735 slider x2” are legendary combining Star Trek wizardry with beauty but the new 911 model brings in greater range of application, model design functionality and 3 built in electrode design choices of which the three rail design is my favorite. I use a lot of different SCENARs in my practice and I love the engine in the ENART 911 and it FAR surpasses the COSMODIC SCENARs, RITM and even the new 24 program automated DENAS PCM 6 device. I have personally used the ENART 911 since 2009 and for certain situations in a busy practice it is my preferred device and at home too. If you have followed my work over the years you will know that I use the much simpler now discontinued DENAS most of the time. However no other device touches the feel of the signal, the speed and read-ability of diagnostics mode of the ENART 911 with its large display and 3 rail electrodes. So the ENART 911 is an amazing unit especially for professionals, and the various modes I talk about in the video are good for any emergency imaginable, awesome power (if and when you need it), and so many programmable functions that you might get easily lost, but not with my videos and coaching! that gets you up and running, less hassle more healing and greater confidence. 143 x 63/43 x 30/24 mm. The professional ENART 911 training will guide you through application strategies so that you maximize the benefits of your investment to work with self and others confidently, every time. The Executive wellness coaching gives you live one on one wellness coaching support beyond the professional application training with a 90 day commitment, and ongoing monthly membership. Contact me through the signup link at the top of the page.